"JET BRAINS again the best"
I'm a fan of programs from developer "JET BRAINS", so I decided to try TeamCity. At once I will say that I was not disappointed. It has a clear user interface and good navigation on it. The platform is quite flexible and stands up for all your needs. TeamCity provides a good set of functions for a building of your project. Also you can control assembling the project and then test it. An excellent user guide, it is complete and understandable. Excellent acceptance tests, most of all I use them. Quite a complex system. Many settings for each project, this requires a lot of knowledge and time. It would be nice to simplify and automate this process. TeamCity is definitely worth your attention if you are looking for an enterprise software for continuous integration. You can try it and decide yourself! We began to save a lot of time. We have reduced the number of failures and problems. We control about 20 projects using TeamCity. It's pretty easy to control so many projects because you can call up the necessary tests and just wait for notifications. Teamcity is a powerful tool for continuous integration and continuous deployment in a production environment. It provides a simple setup process, with the ability to configure many parameters. The software product has a simple user interface. A large number of plug-ins help to significantly expand the functionality. At the beginning, the tool may seem a bit complicated, especially if you are a beginner. As for testing, it is not always possible to quickly interpret errors. Sometimes it is difficult to understand why the assembly broke. In addition, I would like to upgrade the interface. If you need the service ""all in one"" - then TeamCity - a godsend for you! This service is easy to configure and starts for a very short time. Simplicity of scalability. TeamCity is well suited for small companies, but it can also be used for a large company with an enhanced package. My team had a need to create one common environment for all applications with the possibility of simple integration. So, TeamCity is an excellent tool for automatic assembly, testing and continuous deployment. This service has allowed us to improve the efficiency of the entire continuous delivery process. "Good for CI but has some snags"
Too frequent major updates, requiring IT time to re-setup. This is actually the biggest reason we are moving off of TeamCity. Also, it was not designed with security in mind. For example, the register user page is turned on by default, which is a huge security hole because it allows anyone to create an account. And putting this web app behind an HTTPS-only connection doesn't quite work because the administration pages are hard-coded to link to HTTP (very poor coding practice), so then user has to manually change address to HTTPS again and again. Try it out and be sure to evaluate what it is going to be like when there is a new major version every year, and also do a security risk analysis. We configure both CI builds and for deploys, for multiple environments. Most of the time it works very well so that we don't even have to think about it. We can automate the process of kicking off the build. We can build multiple repositories and multiple branches at the same time. We get all the artifacts created that we can use later. At times, the build doesn't kick off automatically. We have to start it. It becomes easy for QAs for testing and also for deployment team by just getting the build number. No need to worry about artifacts, etc. "A Solid All Around Automation Tool"
TeamCity integrates better with .NET tooling than any other automation system out there. From it we can build our pull requests from GitHub, run our unit tests, deploy to integration servers and run our smoke tests. It hooks in well with other JetBrains tools (we use Reharper and DotCover) and logs in with domain credentials, keeping life simple. The configurations are not nearly as simple as they could be. When changing a setting, it is not always clear what is driven from the build master vs the build agent. It would also be much better if the program could update in place on its own, updates are a bit of a process. Before TeamCity, we did not have abny way of running our pull requests through a validation process. Now our code is all required to run and be tested on every commit. With the GitHub intergrations, we are even able to enforce that the tests are passing before the code moves forward. Our code is more stable and reliable thanks to TeamCity. TeamCity truly deserves to be called an "Intelligent CI server". No wonder why since it has so many amazing features such as detection of tool versions, testing frameworks support, code coverage, and static code analysis, etc. I thinks it is one of the best software out there that provides such a Continuous Integration server and Continuous Deployment platform at the same time. I can't really find anything I do not like about it. It is just so good from the beginning to the end. It provides our company with everything we need and more. I cannot even fathom how else we would Integrate and deploy continuously our huge website without TeamCity. Our entire system depends on its high quality service. "Most feature-complete CI server I've used"
Once you've got TeamCity running you're just a few clicks away from the most pleasant setup experience around. You can easily extend the capabilities of your server by harnessing community developed plugins that are capable of just about anything, from running simple test suites to building games with the powerful Unity game engine. Compared to the setup of services such as Atlassian Bamboo, Jenkins and Travis CI, TeamCity can be a drag to configure. Whilst it certainly is worth it in the long run it's simply a lengthy inconvenience for those who are tasked with doing it. Make sure to take full advantage of the free trial, you should be able to cram as much testing as you need in to ensure it's the right product for you. If you are looking to work with a specific language then you should check out the available plugins before trying it to make sure that said language is actually supported. TeamCity is primarily used to automate the periodic execution of various test suites we write for our projects, recently we've decided to take it a step further and have TeamCity deploy built artifacts to our bug finding environment before letting the QA testers have their way. "TeamCity is awesome you should use it if you're into continous integration"
I previously worked for a software company that develop JEE applications. We had TeamCity for continuous integration and building. What we liked about it was the quality of the tool and even it's not a free one (although you can a limited environment for free package that includes the TeamCity CI server and three build agents) the paid support behind it. But even if it cost money, it's price is still affordable compared to Microsoft products (we had one .Net developer that used Visual Studio). We also liked one neat feature in TeamCity which is the web-based dashboard. It gave us a quick overview of our project status, additional to reporting information that can be convenient for a various kind of users and anyone involved in the project. It also gave us the build progress, ability to get more details with a drill down approach, in addition to historical data on the projects and configurations to keep an eye on changes. May be the fact that it is not an open source project. We, especially in the java ecosystem, used to open source, we use other people work and give back to the community whenever it is possible. - TeamCity is extremely easy to setup, configure and use. We used TeamCity for continuous integration of JEE applications, and to keep track on the how development is evolving and regression tests. We also made benefit of the code analysis built-in feature. "The easiest-to-use and most feature-complete CI server you can find"
Once TeamCity is up and running, configuration for projects and builds is a breeze. Community-provided plugins allows us to easily expand functionality (such as the Unity Runner for building Unity projects, or the SFTP Deployment plugin to handle deployments over SFTP). When compared to its alternatives, TeamCity's UI is both functional and aesthetically pleasing. Initial installation/setup was not as smooth as some of the competition, which makes upgrading TeamCity a somewhat cumbersome process. As a result, we rarely upgrade unless a new release fixes a blocking or nuisance issue. Built-in support for various languages is quite lacking. The bulk of our projects' build steps are shell scripts. Building projects using ant or MSBuild is incredibly easy, but for many other languages (for us, mainly Python) the initial setup of your build configuration can be a bit daunting. TeamCity's free license should be sufficient for an organization of any size to give the system a try and see if it will meet all business requirements. We use TeamCity to perform automated tests and, most recently, automated deployments to our staging environments. By removing the need for us to perform deployments manually, a bulk of our time has been freed up for other tasks. "Great tool for managing builds and deploys"
Totally flexible, but has good functionality out of the box. You can create your own processes and controls. Can sometimes be confusing how to figure out what you can or can't do. This tool is not for amateurs, but the amount of up front time you invest it getting it working is well worth it. It is important to understand what you want out of your development processes, and have a clear set of guidelines and process controls before you start. But if you have these, TC will make it possible for you to manage things flexibly and in a distributed manner. We are using this for managing builds and deployments. It has allowed us to make significant progress towards our goal of Continuous integration, and has liberated our devops team from the necessity of always being involved in every release at every stage. "An excelent and configurable CI server"
TeamCity is a very flexible CI server. It can work with nearly any language or build system, provided the tools are present and can be run in a "headless" manner. Since the build process uses agents that can be installed remotely and on different operating systems, a single TeamCity server can be used for cross-platform development. Build steps are completely configurable and can range from built-in steps (MSBuild, Ant, etc) to scripts, to "meta-runners". It also supports displaying code coverage information, test output and VCS history. The largest problem with TeamCity is that it's very memory-hungry. Expect to devote a server to the service if you're going to use it. It's coded in Java (like nearly all of JetBrains' other tools) on top of the Tomcat servlet engine. It's also just slightly custom enough that running it on a vanilla Tomcat install is very painful. There are a lot of CI solutions out there. TeamCity works best when you can self-host the system and have the in-house knowledge to maintain it. It may also be a great value as many services, such as Visual Studio Team Services can get expensive when you have complex and long-running build processes. TeamCity also has a no-cost license level, which is great for trial or usage by small companies. With a large, distributed team working on a complex project, it's very important to keep code quality in check. Automating tests and deploying to a QA testing environment helps keep turnaround fast and allows our developers to get quicker feedback on their code. TeamCity gives us confidence that our code will build and run properly. "A must have for development team"
TeamCity product is very stable and excellent in integration with TFS, it is very well engineered for developer in mind where each activity (build log) are extensively recorded and displayed with ease to navigate UI. Some more refined TFS work item integration would be great, currently it only shows the 1st level of link to the TFS WI as issue list, but that doesn't go well with TFS Scrum template where WI is in hierarchical Feature/User Story/Task. Uses TeamCity for automated Continuous Integration and Deployment for development team. It increases the quality of the deliverable where quality of code is being reported constantly. TeamCity makes is very easy to implement DevOps in your organization on any scale. While the initial setup can be a little difficult to understand and wrap your head around, it is very easy to setup and configure once you have understood some of the terms that TeamCity uses. If you use Git, or other VCS, consider TeamCity for your testing and deployment needs. TeamCity has made it possible for us to have a Testing/Staging/Production environment where all the stages are running the correct versions of our codebase. With excellent JUnit integration, as well as Build Status, we know quickly when one of our builds has failed and why. "Versatile Continuous Integration solution with a LOT of features"
The flexibility of the platform to fit complicated build scenarios, coupled with the amount of data it can give you, is what drives my love for this product. We have 100's of projects being built across many branches and build agents, and TeamCity makes it relatively easy to manage. It runs our tests, notifies when projects fail to build (before they hit our multi-hour overnight build process!) and it can package up products for use by internal teams. It can be a very complex system, so when something goes wrong, we've had some difficulty tracking down exactly where the problem is. There are a LOT of settings, and each project could potentially have it's own unique set of configuration. Setting up the build agents from scratch is something that takes a while based on our software requirements, a way to spin these up in a more automated fashion would be nice if somehow incorporated into TeamCity. TeamCity really shines when you pair it with other products from Jetbrains. It isn't the easiest Continuous Integration system to set up, but by their very nature, few are. Taking the time to set up projects and dependencies from initial implementation, and using templates when possible, will save you a lot of time and headaches down the road. TeamCity is used to continuously build projects as developers make changes. It is responsible for running all of the unit tests on each check-in, and triggering any projects that may be downstream in the dependency chain, running tests on those projects as well. This has the primary benefit of being any early warning system to any changes that may impact functionality not only in the project changed, but in other products that make use of that project. This helps ensure our release build process will go smoothly each night, as problems are usually caught early by TeamCity while everyone is still in the office. "Awesome, intuitive product for CI. Improved our process immensely!" I find it so much more intuitive and easier to use than some of the standard CI platforms out there. It is very reliable and has helped us improve our software development process immensely. It is easy to integrate custom scripts to generate builds or the standard plugins provided for things like Xcode and Android. There is a little bit of a learning curve for the server side support. However, once learned, it is easy! Continuous Integration to improve software quality. "TeamCity has all the required features for an integration and build tool"
TeamCity is a helpful and intuitive platform for continuous deployment of new builds and releases. It provides a clean user interface and has got easy navigation options. It provides running automated tests in the build process and allows to view the issues along with detailed log information. One of the best features of TeamCity is Publish Artifacts which allows anyone to deploy the code or even build directly in any environment such as development, testing, clone or production. It shows the progress of the build at every step and the number of tests remaining to pass before the build is complete and turns green. It also let you to rerun any of the failed test even after overnight execution of the same. This saves manually doing the execution again the next morning. The overall functionality can be easily understood by going through the provided user guide which is thorough as well as extensive. To setup the build configurations initially, it involves many steps because the process is broken down. There is no option for deploying the application for the source code to be present in a particular build such as my main repository. If you are searching for an enterprise build management software, then TeamCity is definitely worth considering. It is also suitable for freelancer developers who have got a limited budget, as TeamCity is free up to certain number of projects. After using TeamCity, the process of continuous integration has become more concise and has also reduced the number of build failures. The issues gets highlighted pretty quickly and I am able to replicate issues on a fast track. The best thing I found out was acceptance tests can be made to run after every single commit which provides faster response in the quality test. A lot of time is saved with the automated deployments for scripts, applications and web services. This pipeline process has also reduced the manual errors. 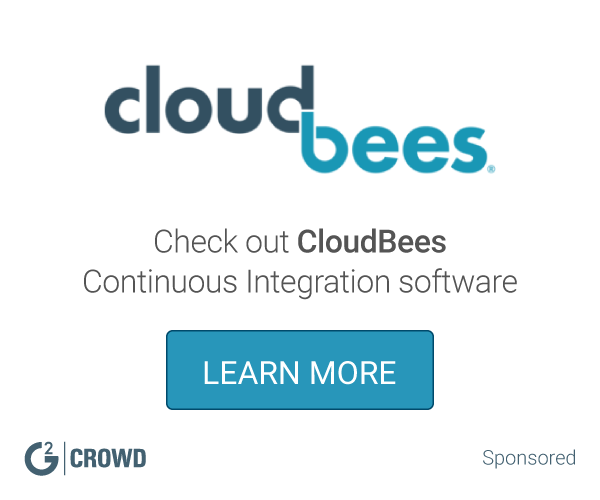 "Great continuous integration tool for help promote better software development practices." It is fairly easy to setup and start using right away, easy to setup permissions for different access levels. Helps promote CI and has the ability to track history, notifications on events and monitor repositories for changes. Includes a windows system tray app to monitor in real time any events that you subscribe to. Sometimes the Agents stop running for unknown reasons, event logs show nothing out of the ordinary so we need to restart the windows service for things to happen again. There is no notification so it might fail and we will be unaware of it until someone takes notice. Help developers become away of issues when they check in code and are unaware that their changes have broken the build because they did not run tests locally. It also helps us schedule automated deployments to our integration environment weekly and ah-hoc deployments to our system test environments. "Using TeamCity has been great so far!" We use Team City as our build server, and it has been great at letting us organize and track all of our builds. We have a 100+ solutions that are being contributed to and being built pretty frequently. We also use TC to kick off unit tests after each build and let us know if there are any failures via email. Setting up a build could be simpler. We use a pretty basic setup - but I feel like I have to jump through hoops to get everything correct. I understand that having options complete multiple steps is important, but maybe these extra steps could be added in at will, not included in ever basic setup. I have worked at a few places, and each seemed to have a different solution for a build server. Team City has been the one I have been the most involved with, and also the easiest to use so far. "CI Solution from JetBrains. Easy to configure and manage. 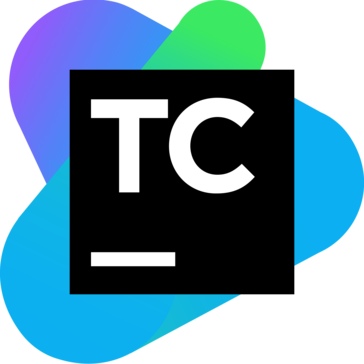 used it extensively for our java projects"
i was first introduced to teamcity when contributing upstream to mesosphere projects. there i saw that their gating runs very fast and steady and on an environment called teamcity. i was impressed and tried my own on my windows machine. The fact that it's based on Java does not hinder it's capability to support different build environments. TeamCity supports a large number of tools and languages. TeamCity's installation is really simple. It has different installation packages for different operating systems. All that's needed is to download the correct one and run it. TeamCity does not keep projects and configurations under Version Control. This means that deploying older revisions of a project is almost impossible is TeamCity has complete control over the source code and deployment packages. Besides, you probably cannot use this approach with free version of TeamCity, because it does not allow having more than 20 configurations per project. please try first, and integrate before releasing out to average users. TeamCity provides nice set of feature for building your project and packing result binaries into deployment package. You can use them to get a quick start (of course if you already have some experience with these features). But keep in mind that TeamCity is not a Holy Grail of continuous integration process. Having 100% dependency on TeamCity is not good. There might be a moment when you have to build and package your project without TeamCity. So try to create stand-alone build scripts and use TeamCity only for calling these scripts when certain events occur (new commit, time schedule, user request, etc.). What TeamCity does really well is running automated tests and reporting their status. "We use this for our CI builds"
It provides a good way to setup builds, and run unit tests with github checkins. We have it setup to run unit tests for our mobile apps whenever someone submits a pull request to github. The github integration setup could be easier. It might be nice to just have pre-set check boxes to determine when you want something to be run, instead of using some branch syntax to determine that. This helps us build quality products since we are able to run unit tests each time a new commit is made. This helps us know up front if something in the commit is wrong rather than in production. "TeamCity makes automated build easy." TeamCity is such an improvement on the old XML-based build systems of the past. It has a user interface that makes the entire build process easier and integrates with all the relevant systems and source control providers and even allows you to use Amazon AWS to utilise the cloud for build agents. It can be somewhat daunting to a beginner but that is really more down to the power that it has and is based on the complexity of building software and all the various dependancies a software build has. There are worse interfaces out there and the help documentaion helps you manage this. TeamCity is probably the easiest build server setup i have used and it has all the pieces needed to get the job done and is priced fairly and even has a freemium style pricing so you can kick the tyres on it. Build automation via collecting your latest code from source control and all the depandanices needed to procuce the artifacts ready to actually deploy software to various environments. It was very easy to setup. The interface is logically laid out. It supports a number of nice features including automated tests, dependency checks, support for many different code repositories including cvs and svn, and requires only occasional maintenance. It doesn't integrate with our other Atlasssian products as nicely as Bamboo does. Which to be fair is expected as Bamboo is also an Atlasssian product. Builds will typically generate a fair amount of files and artifacts which can quickly consume disk space. The cleanup routines within Teamcity need to be carefully tuned to avoid filling your disks. This can become an onerous task. TeamCity is roughly equivalent to Jenkins and Bamboo. With Jenkins it's very extensible but will require more manual configuration and fiddling versus TeamCity and Bamboo which are both polished commercial products. If you are already using Atlasssian products, you'll gain better integration by using Bamboo. If you aren't an Atlasssian shop, then TeamCity offers similar functionality. You'll need to make your decision based on current features, UI, and prices for each. Many options, Java based so easy to integrate a Maven project. Coming from Jenkins I found TeamCity annoyingly complicated, even setting it up using docker was not easy. Check Jenkins before using TeamCity, if Jenkins is enough (probably it will be even more) for your requirements go with it and forget about TeamCity. Build and deployment of a web application on different Tomcat server (for development, testing and production) using different Maven profiles. "Easy to setup and use build server"
The best thing is that the UI is very user friendly and easy to set up. The functionality is also very flexible and powerful. Also it supports all of the popular version control systems so it can work with any of them. Also the free Pro version comes with enough build configurations to use the system for many different projects. Teamcity has many configuration options and powerful functionality so it can be overwhelming to navigate and understand all the available options. I would recommend to start using TeamCity as soon as possible and automate your builds and deployments. Teamcity allows us to quickly identify all the failed builds and deploy code to test and live environment without manual work. TeamCity is one of the best Continuous Integration servers out there! When it comes to ease of use it's pretty simple to setup. I wanted to use it for Android builds and once I got my virtual machine up and running and got the team city installer fired up, in the matter of minutes team city was ready. Once I connected it to my Android build environment (SDK, and Java environment) I was building from my GIT repo in no time. So far I havent relly had any major issues with it to dislike anything per say. It's a CI server that caters to a particular audience so if one doesn't like it they can easily just switch to Circle CI or Travis CI. The main issues I was having were mostly Windows related security issues. As windows has several methods that protect certain administrative functions so I had to configure the current account to have these priveleges so that it could trigger builds. Team City has allowed me and my team to automate the whole process of building, by allowing us to folow Continuous Integration principles. Now every time we check in to our GIT repo it triggers a build of our Android app. So we are continous improving and doing validation as we build along so we don't have major issues when it's time to deploy to production if we were working on module's seperately. It solves the issue of ease of use where it allows us to focus on the core and does all the behind the scenes work for us by providing an abstraction layer above that via a nice user interface. "I have used TeamCity for 8 years in the companies"
TeamCity meets the majority of my needs for CI builds. It is flexible and transportable. I have been using it since v0.8 and have seen great features added over the years. I like sub-projects and REST API features that have been added. We get a lot of use out of the Issue Tracker linking to Jira. The custom reports is a useful feature. We like the fine-grained user permissions as our company grows and because we use a TeamCity server in multiple environments. I have made a few feature requests that have not been addressed yet like the ability to reuse certain build failure conditions across multiple build configs. These are fairly minor. There have been some performance issues that occasionally require restarting the TeamCity server. I would like a default VCS user/pwd for our 200+ VCS roots although we do have a workaround for that now. We have 2 enterprise servers and 22 total build agents spanning multiple environments. All of our automated builds and deployments as well as most maintenance is done through TeamCity. TeamCity is a java-based CI server package. The TeamCity installation is extremely easy and very quick. I find the TeamCity browser-hosted dashboard absolutely amazing. It is also very simple and easy to get familiar with. It also It provides build progress, drill down detail, and history information on the projects and configurations. Very few dislikes. I guess that every release introduces a few new bugs, which can be annoying. Also, it requires a Java stack (assuming you're a .NET shop). I do not really like the layout and design of TeamCity though, it can sometimes seem a little boring. However, for what it is, it looks quite fine. I just wish that it would include a nicer looking, and maybe even a little more colorful interface, just so that us users can be happy. Usually when someone near me asks this type of question, I recommend TeamCity. There are many important .NET tools integrated and included with TeamCity, such as code coverage analysis, several .NET testing frameworks, and static code analysis. It provides project status and reporting information suitable for a bread range of users and project stakeholders. There are a lot of good reasons to choose TeamCity. The product is very well documented and there are a lot of examples and tutorials available. Out on the Internet there are many postings ranging from setting up basic CI with TeamCity to advanced topics such as using TeamCity’s built-in NUnit test runner. "I am a DevOps Manager with over 125 Builds running on TeamCity 9.0.2 with 4 yrs experience." I would really like to be able to build, view and manage builds with a visual pipeline - that feature does not really exist at this time. TeamCity is very easy to integrate with SVN, TFS, or GIT. 98% of most configurations can be managed on screen within a discrete set of fields. There are no complex XML or Configuration files to learn, making it easier to get up to speed on than Jenkins. The work flow is well structured and intuitive, making it easier to grasp than Team Foundation Server or Visual Studio Online builds. The product is very stable, with active support and upgrades. The online documentation is outstanding. Response to questions generally comes through the Community or via online ticket response - which can be a problematic if dealing with a serious problem. Best of all - the Professional version is free, with unlimited user licenses and three build server licenses and 25 builds, so getting started is easy and inexpensive. Converting to the Enterprise version for unlimited builds is not expensive. Maintaining upgrade rights is recommended as JetBrains actively updates the product on a semi-quarterly basis with each upgrade adding more functionality. Highly recommended. "Development Manager and TeamCity custodian"
It's simple yet powerful UI plus very useful API. We've now moved away from creating teamcity builds by hand, instead I've created a small app which uses teamcity's api to create builds in a standard manner and without human error. We've even hooked up teamcity to our global package service, which delivers versions of our product to groups of servers hosting our product. We have a large development group of 50+, along with 10+ test engineers, account managers and project managers whom all ahve different views in TeamCity to monitor progress of individual features all the way up to what version of a product distribution has what changes in. Speed. After 4 years of using TeamCity I never seem to get it to operate fast enough for it not to delay your working day. Use it. It's a great tool. Very easy to setup and if you need more agent power, you can hook up to azure or amazon ec2 and it can create builds agent vms dynamically when there a build queu that demands it. How to compile and version all 300 components in our product in a reliable and organised manner. TeamCity provides this for us. "Great product for any sized development team"
I dislike the fact that it does not explain software specific terminology (build, check-in, pipeline, etc.) very well. Most of the time I would have to search the internet to figure out what these terms mean. The main business problem we are trying to solve is automating parts of the software development life cycle. By automating many things, we are able to gain productivity, decrease time in deploying software from one environment to another, keep track of deployment process configurations easily, and so much more. "As a developer I use team city for building our code libraries." Builds pretty quick and it has many options for connecting to several source control software. I also like the flexibility given with setting up build triggers. The user interface for team city could use an update. We use team city to build our product code. Our product is split into many libraries with many inter-dependencies. Team city allows us to automatically build our libraries in the correct order whenever we submit source code changes to your source control software. It also allows us to run automated unit tests on individual libraries, as well as smoke tests on our product build. "An alternative to Jenkins as a Build platform "
TeamCity facilitates the work and implementation of practices such as Continuous Integration and Continuous Deployment in a work environment, with a simpler UI and support that the competition. The Agent screen and prioritizing builds menus are great. The configuration process is easy and more scalable. Sometimes, it can be hard to manage parallel execution and the lack of plugins. Also, there's no free tier. With TeamCity, we're hoping to have a more modern and mature platform for CI and CD practices, with simpler UI and configuration process. Teamcity is the beat CI tool I have ever used. The flexibility of this tool is that it can connect to any source control system very easily and let one intelligenltly derive the CI process based on code checked in to a source control branch. Complex settings. Specially the vcs root settings. Nice interface, easy to use. Has enough feature to help with daily tasks, like clone, intellisense, attaching source control, etc. Lack of clear explanation in documentation. If you're new to TeamCity then it may not be easy to get started. One of the best tool for Continuous Integration but not so good for Deployment. Doesn't offer a proper deployment pipeline. One of the best tools for CI but lack of proper CD. Also consider Visual Studio Online or how it was renamed recently - Visual Studio Team Service. Support of NuGet, Powershell, NUnit. Ease of scalability via adding more agents. Build Notifications are easily configured and always work fine. Good for small teams and easily extended for big company via licensing. CodeCoverage is not available from the box as for TFS. To support Code Coverage, paid tools are required. No other issues for my development requirements. "Simply powerful and flexible continuous integration tool"
I like the flexibility to customize the build using command lines. Upgrades might be a pain, would be great if the process is automated instead of manual. TeamCity is super easy to setup and get it run within minutes. Automation process for tests and continuous deployment. "TeamCity - Newforma - Mariellen"
The logging could be more verbose. Sometimes it takes a while to figure out why the build broke and/or the failure isn't really related to the error displayed. The dashboard is easy to configure and implement your builds. Not too many "customized" actions taken to get a great product working with our source control and automation scripts. Build and automation workflow. Build all the components and implement automation was easy to setup and get running. Again, supports many of the latest technologies. "Rich continuous integration and content delivery tool rivaled by few"
"Seamless build server for everyone"
The feature that really stroke me the most is the integration with Gradle: just for that, and for the ease of configuration, I fell in love with this tool! The free tier was somehow limiting and we are not able, as of today, to upgrade to a business plan, so we are stuck with the free version. But hey, there's a free version! If you need a single environment for having everything building in one place... you found your solution! We wanted a single building environment for all of our apps, from Windows Phone, to iOS, to Android, with the possibility of integrating tests easily. I have reviewed a few CI tools, Jenkins, Bamboo, Travis, and Team City. Team City is by far the best CI tool on the market today. I can't say enough good things about this tool. Would recommend it to absolutely anyone looking for a CI tool. There is not a single bad thing I can say about this tool. It is a phenomenal tool. Our company needed a CI tool, it was my job to review and select one. Team City won the battle by a long shot. It does everything the other do just more intuitively. "Great tool for integrated builds"
We use teamcity for integrated builds. It is an excellent tool for automating builds. We use Teamcity because it's easy and even the BA and PM can trigger a build. It makes is easy and convenient for the team to have builds deployed. So far I haven't found anything that I dislike about it. We use Team City for integrated builds. We like it because not just the developer but even the BA and PM can trigger a build and deploy one when necessary. I like how it serves the purpose it was intended to serve. I dislike the ugly and confusing web UI. I use it to build and run tests. "Interface feels a bit old, but delivers what is exepcted"
Works as advertised. Pretty Complete. Installation is pretty smooth and works out of the box for most scenarios. "TeamCity is nice and intuitive for build and CI"
Intutive, interface, quick and painless setup, more fun to use than Jenkins. No build configuration export, which is solved in latest version. Basically one of the best CI tool ever. We use it to build application releases and testing. It solved us a lot of time and efforts. "Handy tool for Continuous Integration"
Heavily reply on TeamCity for Continuous Integration of SourceCode. This product has a great integration with GitHub (including webhooks). Quite a few plugins are available for CodeCoverage, Unit Testing as well as integration with some products like HipChat. This is a great product, and meets my expectations. This is a great product for Build Automation and Continuous Integration. Leverage product integrations with GitHub. It suits our work environment as we are continuously integrating and expanding. It is quite straight forward to use. It can be difficult to interpret test failures using the service and the layout can look crowded. We have a number of environments and services so this suits us well as it can be extended and expanded to fit all of these projects in. Reliable, flexible, configurable build software. Good support for Maven Java build but we also use it for deployment and Docker builds. Probably as a derivative of all-inclusiveness and flexibility the GUI of the system is quite hard to use. Building Java projects, continuous integration and deployment, building Docker images. I like that team city is user friendly. I like that the builds are easy to access. There isn’t really too much that I don’t like about it. I do qa work so I am mostly just downloading new builds. Being able to have builds for multiple release versions. "My QA experience with TC spans 5 months in a professional setting and so far seems straigh forward"
Simplicity in building projects that development has passed down to be tested as well as running our Selenium Tests on it. Although I didn't set up the project I can see it being a bit of a monster to understand set up. Testing Web Applications by frequently updating builds on servers run by TC. * We monitor all TeamCity reviews to prevent fraudulent reviews and keep review quality high. We do not post reviews by company employees or direct competitors. Validated reviews require the user to submit a screenshot of the product containing their user ID, in order to verify a user is an actual user of the product.